When people first start to consider making a change in their life through therapeutic methods they often have questions about our Bermondsey office and hypnotherapy. They want to know just what hypnotherapy is and how it works to create a lasting change in their life. If you are a person that is considering hypnotherapy for any reason, it is an important step to first find out all you can about this highly effective treatment option. One of the most essential benefits of hypnotherapy is that it is effective on almost all clients. Contrary to what you may have heard, there are very few people that will not benefit from hypnotherapy and similarly there are very few people that cannot be hypnotised in the therapeutic sense of the word. In fact, most people have periods of time throughout their day when they are in a state of hypnosis. If you have ever experienced driving down a road and being completely alert but having your mind drift and then suddenly realizing you have gone past your turn you were in a mild state of self-hypnosis. 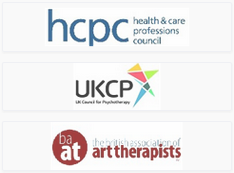 Hypnotherapy can be used to treat a range of different issues. It can be used to change your deeply held thoughts about additive behaviours including overeating, gambling, smoking and the use of alcohol and drugs. This is because your subconscious mind is open to suggestions from the therapist during the session, helping you to retrieve those suggestions and change patterns of behaviour that may have seemed to be previously out of your control. Not surprisingly, hypnotherapists can also provide support for some medical issues as well. Research has shown that pain management for chronic conditions such as arthritis, migraines, Fibromyalgia and Chronic Fatigue Syndrome can help to relieve the condition and also reduce the need for prescription medications that can have significant complications and contraindications for use. Hypnotherapy, which is the use of suggestions while your mind is a relaxed and open state, has very real benefits for the treatment of many different mental health issues. When clients arrive at the Bermondsey office for their first session the hypnotherapist will explain the entire process, as well as answer any questions you may have. You will be alert and aware during the entire session, and your hypnotherapist will discuss your goals and what you want to achieve through the sessions with you before the process is started.